Officials of the Economic and Financial Crimes Commission (EFCC) has seized houses and other properties worth N5bn belonging to the former Chief of Air Staff, Air Marshal Adesola Amosu (retd. ), and other senior military officers. 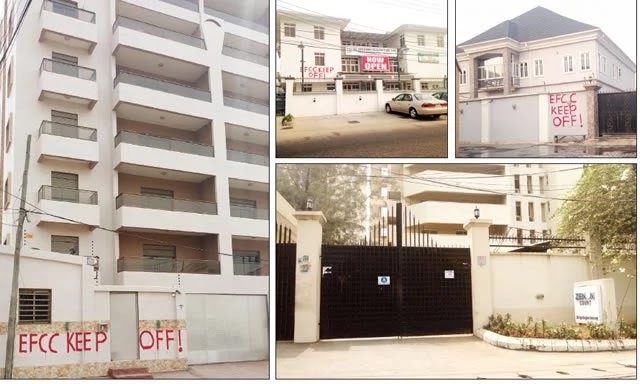 The Punch reports that the properties, which were seized in the Ikoyi, Ikeja GRA and Badagry areas of Lagos state, allegedly belonged to Amosu, Air Vice Marshal J.B. Adigun, the ex-chief of accounts and budgeting of the Nigerian Air Force (NAF), and Air Commodore O. O. Gbadebo, the former director of finance and budget at NAF. A senior EFCC official, who spoke on condition of anonymity, said that the suspects were cooperating fully with the anti-graft agency. “We have sealed a block of 12 luxury flats, located on Agodogba Street, Park View Estate, Ikoyi, belonging to Adigun. It is worth over N1.7bn. The same Adigun also owns another block of luxury flats on Sinari Daranijo Street, Victoria Island, Lagos. It is worth N1.8bn. 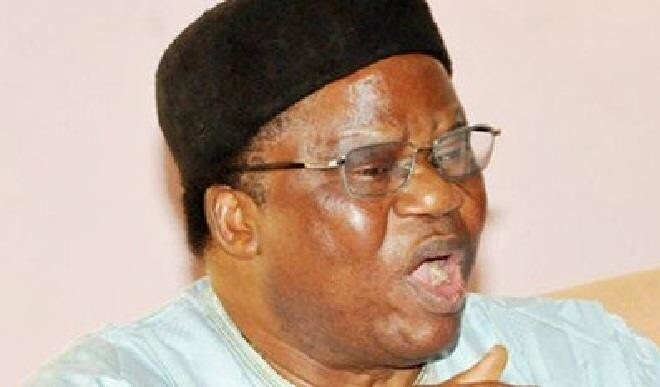 According to the source, six other properties traced to Adigun included a set of four terrace houses on Agede Street, off Aminu Kano in the Wuse 2 area of Abuja. Speaking about the seizure of Amosu’s properties, the source said that the operatives confiscated buildings located in the Ikeja area of Lagos and all vehicles. “Amosu confessed to owning an ultra-modern hospital on Adeniyi Jones Avenue in Ikeja. The hospital, St Solomon Health Care Limited, which is worth about N85m, has been sealed off. “A house located on Adeyemo Alakija Street, GRA Ikeja, near the Ghanaian High Commission, which belongs to Amosu has also been sealed. It is worth over N200m. “Amosu, who is from Badagry, also built a house in the area. That house has also been sealed off. I cannot state the worth of the house for now. “We have also seized a bulletproof Toyota Sports Utility Vehicle and a Toyota Avalon, belonging to Amosu. He is cooperating with us,” the source noted. The EFCC source said that Gbadebo, who was Adigun’s assistant, is also cooperating with the anti-graft agency and helping with the investigation. “He owns a block of eight two-bedroomed flats in a border town between Lagos and Ogun states. He also has a fish pond in the compound. The building has also been sealed off,” he added. Amosu and other senior officers are being probed by the EFCC as part of investigations into the $2.1bn arms scam. On Monday, February 8, the former Chief of Defence Staff (CDS), Air Chief Marshal Alex Badeh (retd. ), was detained by the anti-graft agency. A few weeks earlier, the EFCC officials sealed off the Abuja house of the ex-CDS located at No 19 Kumasi Crescent, Wuse II. The EFCC source explained that the commission had been given 30 days by the court to do a proper investigation. “We have obtained court order and holding charge; we can detain them. It subsists for 30 days. Hopefully, we will be able to charge them to court very soon. “We are sending a message to civil servants because the era of impunity is over,” the source stated.